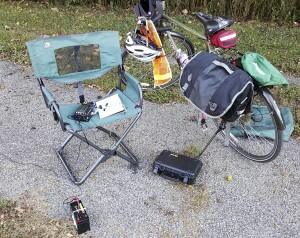 I take advantage of the CQ Worldwide DX Contest – RTTY Mode, to show my portable digital QRP station. In this video, with only 5 watts, I work Pennsylvania, New Jersey, Colorado, Morocco, and Croatia. I’ve got most of the (many!) capacitors installed, along with the crystals, etc. The kit is coming along nicely and I’m enjoying it. My friend Doug Miller (W4DML) says. 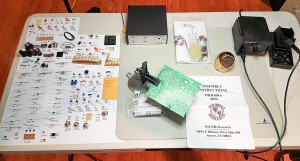 “Soldering is Therapy.” I think there’s some truth to that. When you’re soldering, you’re concentrating so much on what you’re doing that any other thoughts are pushed out of your head. So, anything that’s bothering you goes away when building something. Handling any object (like a soldering iron) that is 700 degrees Fahrenheit will cause one to concentrate – or suffer the consequences. I bought the 40m version of the OHR 100A QRP radio last year and it’s been sitting in the box waiting for me to build it. It’s time. There’s something about the season changing to Fall that makes me want to build a kit. I guess I think of Fall and Winter as being the time of year to do my hamming indoors. 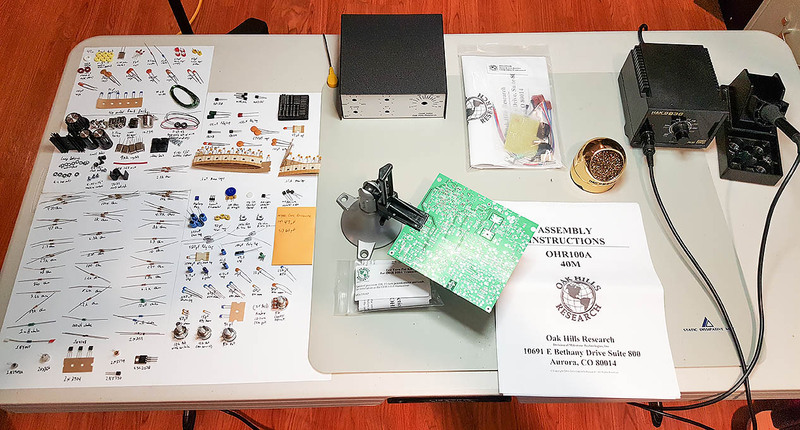 OHR 100A parts shown before the build begins. One of my favorite things to do in ham radio is to take a QRP rig with me on a bike ride. 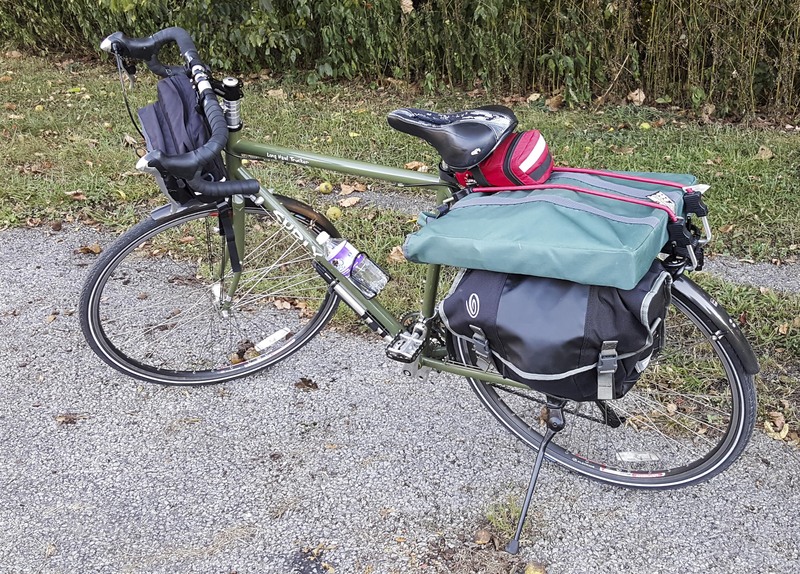 I’ve got several places where I go on my bicycle and set up a station. This evening, I rode to one of my favorite spots and worked K2H (VA) and N4LB (TX) before packing it back up and heading home. I used my Elecraft KX3 with a Sotabeams 20m/40m linked dipole antenna. 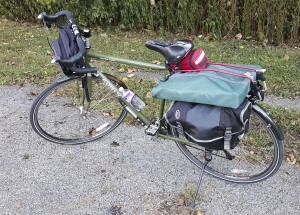 My bike with a portable camp chair and my radio gear stuffed into a pannier. Here’s what it looked like after setup. The antenna was hoisted up into a tree and tied off to the handlebars of my bike. The KX3 has a Begali Adventure attached… what a fun combo! 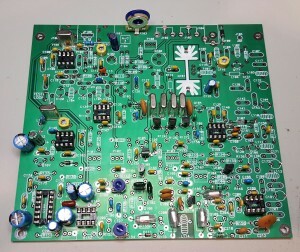 Do you think life is too short for QRP? Then you don’t understand the math!